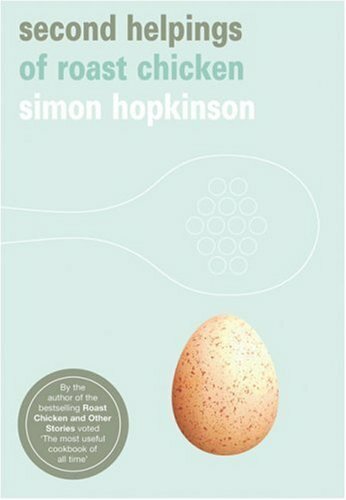 Second Helpings of Roast Chicken takes forty-seven of Simon Hopkinson’s favourite ingredients as a starting point. There is a section on apples with a perfect apple tart, a section on curry with Constance Spry’s original Coronation chicken salad dressing and a section on duck with Braised duck with peas and the classic Roast duck and apple sauce. There are also recipes for Pear and ginger sponge, ‘a good’ Waldorf salad, Armenian lamb pilaf, Baked whole plaice with lemon butter sauce and what is, quite simply, the best Bloody Mary.